George has fifteen years of fitting experience and has completed over 4000 fits. 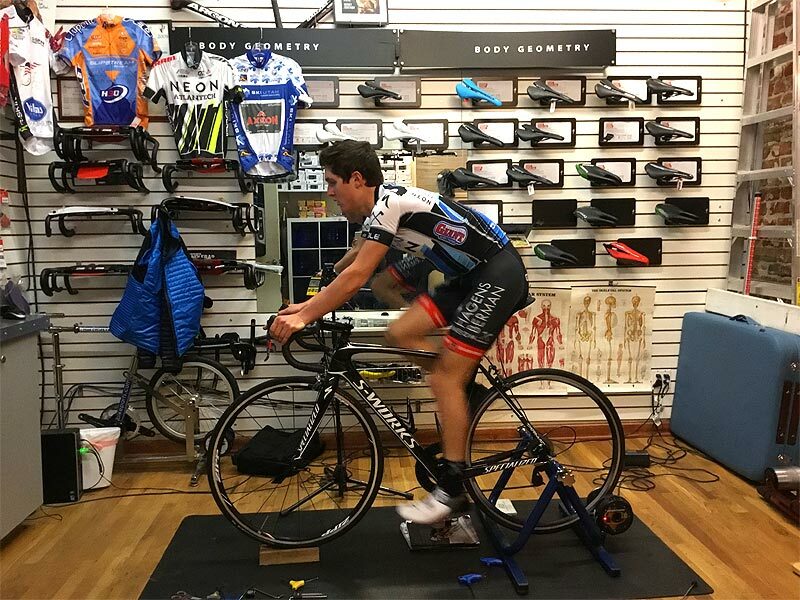 He has completed Serotta Elements™ and Serotta Advanced Fit™ courses as well as Specialized™ BG fit school, designed by World renowned biomechanist Dr. Andy Pruitt. What makes George unique from many other fitters is simple - experience. 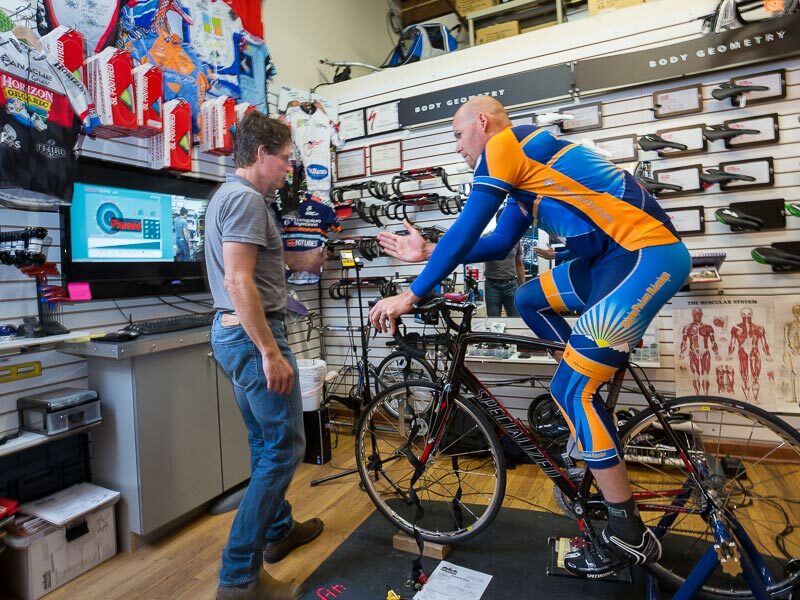 Just about anyone can take a class on bike fits and get "certified" but they will not be able to see and interpret important elements that George can. This extensive experience is what makes George a true fit specialist. He has the experience, the tools and the advanced training to handle any fit scenario. GEORGE'S PHILOSOPHY: The cyclist is the primary fit driver. Assessment is the key to George's fits. Understanding the athlete's needs are by far the most important component in the fit. Assessing these needs and body dimensions are the basis of the fit. Simple questions help drive the fit. What are your body's dimensions? Are you long in the inseam or long in the torso? THE METHOD: After assessing body geometry values George will utilize an eleven element functional movement screen, from this screen George will learn important limiting or liberating facts about you that will guide him in matching you with the most suitable fit for you. Why the Computrainer? 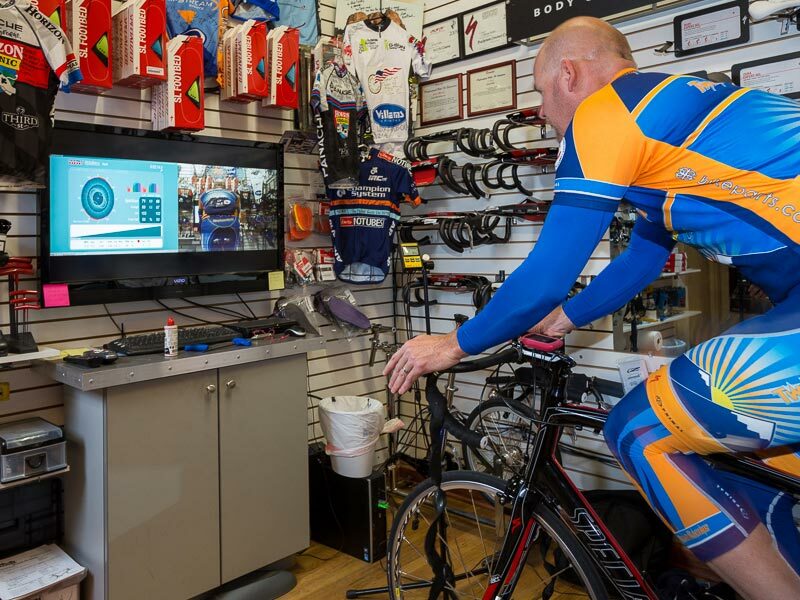 George uses the Racermate® Computrainer™ ergometer and coaching software so he can measure the true performance enhancement derived from the comprehensive fit. This data, when interpreted correctly, not only makes the rider more efficient and powerful, it makes the rider more comfortable. No other fitting solution is this comprehensive. We take real power data and make you a better more comfortable rider. 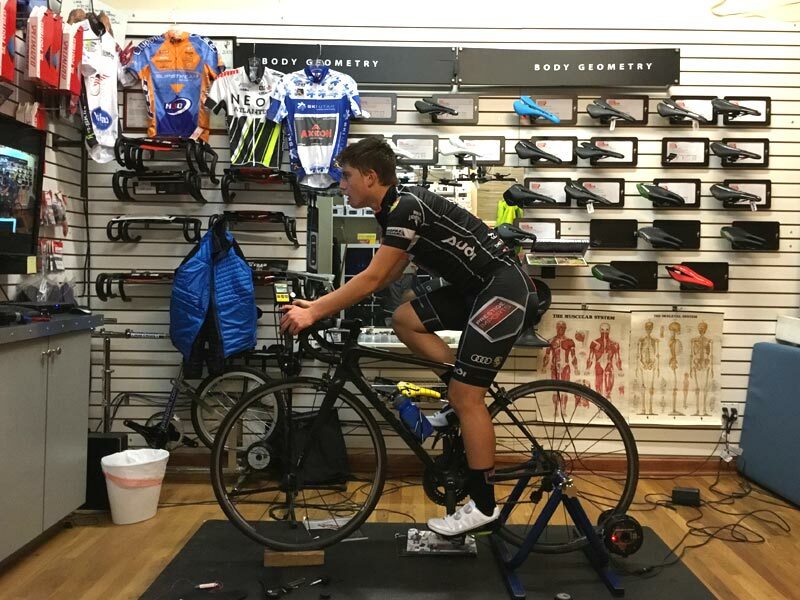 Plus, the use of the Computrainer Spin Scan™ program will enable George to achieve the proper torque angles making your spin much smoother and powerful. Torque angles during pedaling is extrememly important and often overlooked by most fitting solutions. 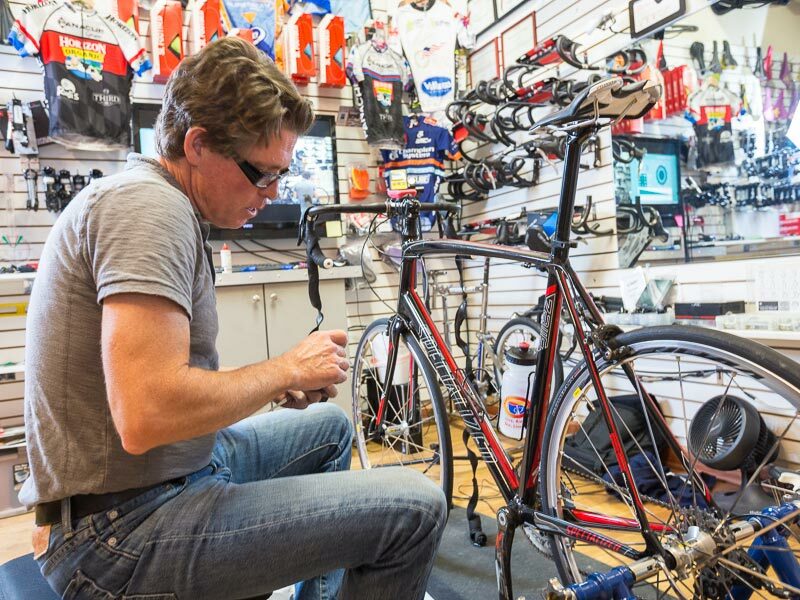 This comprehensive fit is accomplished on a Serotta® Size cycle custom equipped with a RacerMate Computrainer™. We duplicate (down to the millimeter) the geometry and parts (i.e. saddle, bars, crank length etc) used on the athlete's bike. We can make small changes without stopping for long periods of time to change out parts, thus maintaining continuity in performance. All of these adjustments are accomplished while the rider is pedaling at set percentage of maximum heart rate. This is a true dynamic fit - we mimic real riding in our studio. After finding our ideal position we then extrapolate the numbers off the size cycle and apply the true dynamic fit to your existing bike. Looking for new bike? 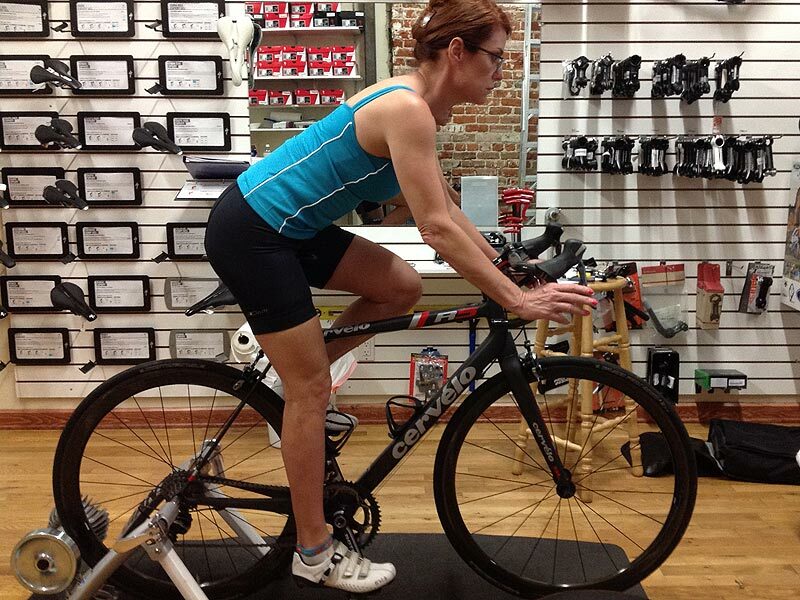 If you are looking to purchase a new bike, this fit will allow you to buy the correct bike size - the first time. We call this method "FINDING YOUR FIT IN SPACE", or in other words, working backwards. Finding the fit first choosing the ideal frame, stem, bar sizes can save time and energy better spent elsewhere. To set an appointment for a fit, please contact George Mullen at 303 522-1494 or by email at gjmmullen@yahoo.com.